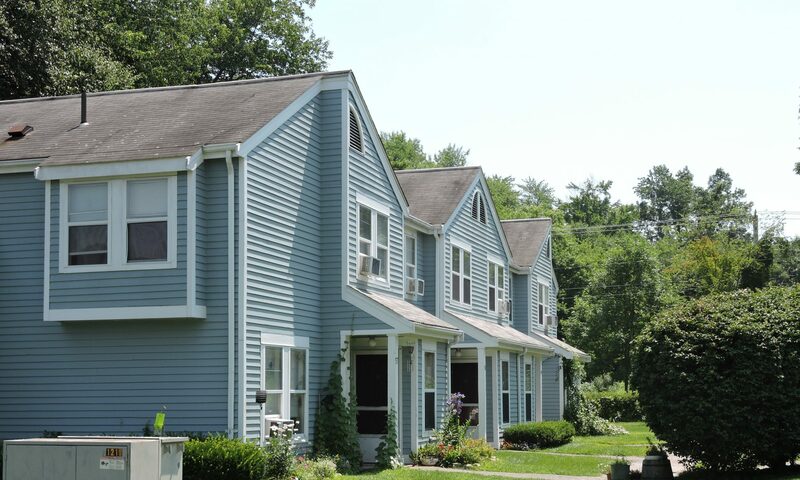 South Hadley is located in the Five College Area of the Pioneer Valley, minutes away from Mount Holyoke College and twenty minutes away from UMass. Living at Riverboat Village will give you quick and easy access to nearby towns, shopping, schools and major highways. Managed by Meredith Management, Riverboat Village is a residential apartment community with a hundred and seventy apartments. Our newly renovated one, two and three bedroom apartments are situated on the banks of the Connecticut River surrounded by picturesque farmland and scenic roads. Apartments are located in one of twelve buildings based on the size of the apartment you rent. One bedroom’s and one bedroom’s with a den are located in a three floor low rise apartment building with an elevator. Two bedroom’s are located in one of our four two floored garden style buildings. Three bedroom town houses are located in one of our seven building clusters. Let our professional on-site staff take you on a personal tour! Call or email us today to set up an appointment!